These were the words of a single father of Nalutulevu Settlement outside Rokovuaka Village in Ra as he tried to come to terms with the tragic death of his only daughter. One-year-six-month-old Atelaite Ranadi reportedly drowned in the Wainibuka River last Friday while her father went to feed his pigs. Her father, Solomoni Moi, 34, could not hide how he much he missed his daughter when interviewed by the Fiji Sun last night. “I was at home with her and then left to feed our pigs,” Mr Moi said. He said after almost ten minutes at their pig pen he came back to his brother’s house and saw his brother and father chatting outside, but could not see his daughter and nephew. “I did not know that my sister-in-law had asked my father to look after my daughter and nephew and it seemed like my father was not aware of it because he is a bit deaf,” Mr Moi said. Mr Moi said he then looked around their house, but could not find them. He then decided to head towards the river bank because his nephew was fond of going beside the river bank. 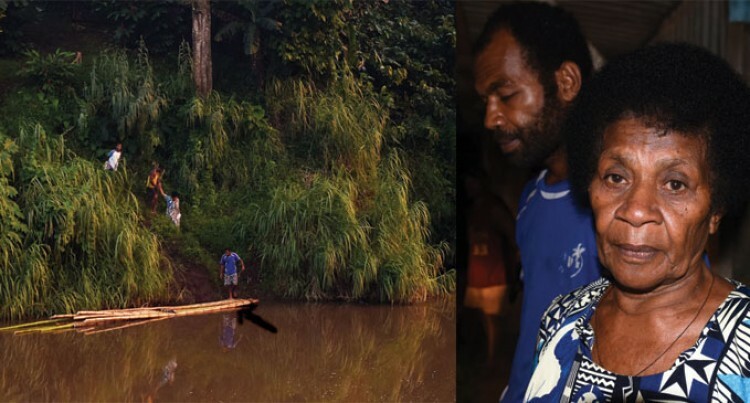 “When I was coming down towards the river I saw my nephew coming up and I asked him where my daughter was and he was incoherent and I could only understood when he said, ‘i wai’ (in the water),” he said. “I started to panic and got scared when I heard him say that. “When I reached the river I could not see anyone playing at the bank so I knew something bad had happened. “I looked and saw something green and white in the water because the river was a bit muddy. I pulled her out and started reviving her. I even lifted her on my back to get the water out of her stomach, but nothing happened … so I knew that she had passed,” he said. Mr Moi said he missed his daughter a lot because she was the only companion he had after her mother left them when she was only five months old. “I usually wake up early in the morning and pray at 4am and she was always waking up to pray with me, but this morning my prayer session was quiet and so sad,” he said. “I could not stop crying during my prayer time just thinking of all those time we spent together. I could not sleep on Friday night. Atelaite is currently at the Rakiraki Hospital mortuary awaiting a post mortem examination this week. The drowning death toll so far this year stands at 10, not including Atelaite, while it was 18 for the same period last year.